Manufacturer of a wide range of products which include hydraulic lifting table and hydraulic scissor lifting table. 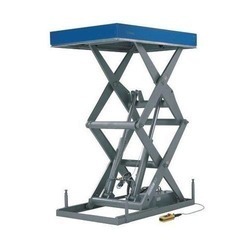 Owing to our rich industry experience and our expertise, we are offering Hydraulic Lifting Table to our clients. It is easy to operate and has a high load-bearing capacity. For its production, experts have used cutting-edge technology and assembled parts. It saves a lot of power in the process and is able to give excellent performance. 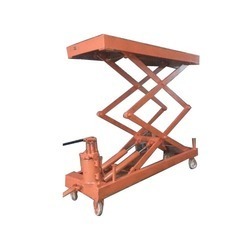 One can avail from us a quality range of Hydraulic Scissor Lift Table. The Hydraulic Scissor Lift Table we offer is known for its availability in various specifications and sizes. These products are recommended amongst the clients for its sturdiness. 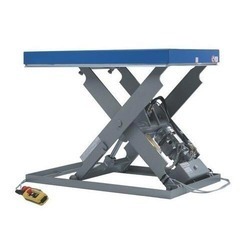 We offer Hydraulic Lifting Table.